The second Belt and Road Forum for International Cooperation will take place in late April this year to further expand and deepen international collaborations and partnerships based on the spirit of peace, cooperation, openness, transparency, inclusiveness, equality, mutual learning, mutual benefit and mutual respect by strengthening cooperation on the basis of extensive consultation and the rule of law, joint efforts, shared benefits and equal opportunities for all. Cambodian Prime Minister Hun Sen will lead a big delegate consisting of deputy prime ministers, ministers and other senior leaders to attend the forum in Beijing. Cambodian leaders will also have a number of bilateral meetings with some key Chinese business leaders who are interested in investing in Cambodia. BRI is a key framework, or even a catalyst, to encourage and facilitate the investment inflow from China to the Kingdom. In the joint statement of the first forum, the leaders stressed of forging joint endeavour on BRI and urged to build synergy between BRI with other connectivity initiatives. From the Cambodian perspective, building synergy between BRI with the five-year development plan, called Rectangular Development Strategy, is the priority of bilateral cooperation between Cambodia and China. The Rectangular Development Strategy Phase IV prioritises four pillars namely human resource development, economic diversification, private sector and job development, and inclusive and sustainable development. At the core of the four pillars is the acceleration of the governance reform, which refers to institutional reform and capacity building, strengthening accountability and integrity in the public administration, strengthening of work effectiveness, and strengthening of private sector governance. Under the BRI cooperation framework, China should further align BRI with key development areas of Cambodia. So far, Chinese development assistance and investment projects concentrate on hard infrastructure and labour-intensive industry. Both countries need to expand their areas of cooperation to include human resource development, digital economy and sustainable development. The Chinese companies and factories should build vocational training centres or schools to build and transfer skills to local workers. Due to lack of local skilled labour forces, most of Chinese companies choose to bring Chinese workers, which costs more than hiring local workers. Chinese companies should also provide on-the-job training to build the capacity of local workers in order to improve productivity. In this regards, Chinese companies can learn a great deal from Japanese companies in terms of skills development and knowledge transfer. Digital economy is the future economic sector of Cambodia. The key challenges facing Cambodia to realise a full-fledged digital economy are the lack of human resources and digital infrastructure, and the lack of public and private investment in innovation and entrepreneurship. Mega Chinese private companies like Huawei and Alibaba could help Cambodia to build the necessary infrastructure and human capital to help the Kingdom fully harness digital economy and the Fourth Industrial Revolution. In terms of inclusive and sustainable development, China and Cambodia should work closely together to link BRI with the UN Sustainable Development Goals and the National Sustainable Development Goals. Chinese investments need to further link with rural development and poverty reduction. Some investment projects relating to land grabbing, serious environmental degradation, and socio-economic exclusion need to be reviewed. Environmental and social impact assessment needs to be seriously conducted before deciding on investment or development projects. The success of BRI depends very much on the quality of the projects and the perception and participation of the local community. Both countries still need to double their efforts to ensure that development projects under BRI really benefit the local people. People-centred development approach should be at the core of BRI and Cambodia-China partnership. Suos Yara is Member of Parliament from Cambodia. When career diplomat Benny Widyono died in his sleep in the United States on March 17, the world lost a beautiful bloke, a distinguished diplomat, a United Nations governor of Siem Reap Province and an Ambassador and Dean of the Diplomatic Corps as UN Ambassador to Cambodia. 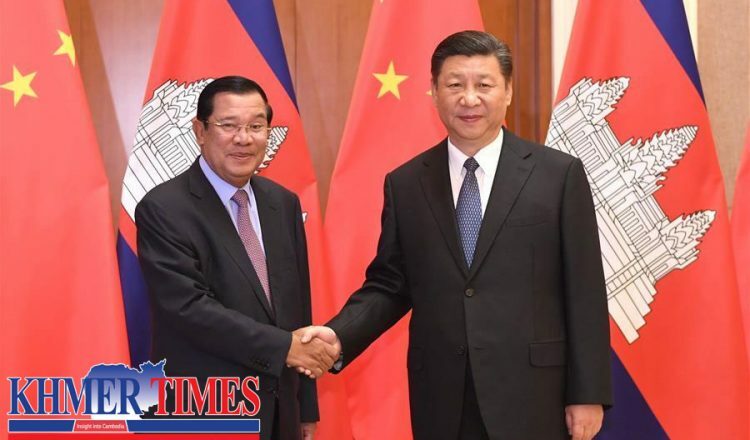 Posted in Cambodia, China, China -One Belt One One Road Policy, China-Cambodia Relations, Development Diplomacy and Soft Power, Development Planning, Hun Sen, Xi Jinping. A Cambodian scholar said that Cambodia’s foreign policy towards its neighbours and other countries in the world has been on the right track. In a Cross Talk interview with Khmer Times on Monday, Leng Thearith, Director of Center for Strategic Studies, said the Kingdom’s foreign policy has improved after the country held its 1993 UN-brokered national election, and has been reformed over the past three years, especially in capacity building and strategic analysis. Mr Thearith said the Kingdom has good relations with other countries thanks to the government’s efforts in integrating the country into the region as a member of the Asean and the World Trade Organisation. However, he said as a small state, Cambodia has limited strategic space to manoeuvre while its foreign policy dynamics face considerable challenges. Mr Thearith said that Cambodia is now seen as apologetically leaning towards China after the government received strong support from China through aid and loans without strings attached, noting that the country’s current approach toward the United States and the European Union will not be helpful in the long run. Mr Thearith said that the government slammed the EU and the US because they meddled in Cambodia’s internal affairs, but later should mend ties for development benefits. The EU last week started the process of intense monitoring and engagement for six months that could lead to the temporary suspension of the EBA trade scheme over perceived human rights setbacks and the decline of democracy following the dissolution of the CNRP. In response, the Cambodian government condemned the EU trade threat as an extreme injustice, accusing it of using double standards in its treatment of Cambodia. Political analyst Lao Mong Hay said that the country’s current foreign policy is not on the right track as it is sucked in the Sino-American conflict. “Now Cambodia is being sucked in the new Pacific war and specially the Sino-American conflict,” he said, noting that the foreign policy behaviour has led Cambodia back to the pre-1970 situation where it was gradually sucked in the then ongoing international conflicts. Posted in ASEAN, Cambodia, China-Cambodia Relations, Democracy, European Union (EU), Foreign Policy, Geo-Politics, Hun Sen, Khmer Times, US foreign policy. There is an assumption by some commentators and analysts (myself included, on occasions) that just because China is now Cambodia’s closest political ally, the influence of Western nations has become negligible. As early as 2015, Sebastian Strangio noted in his book Hun Sen’s Cambodia that Western influence in Cambodia had “begun to wane.” Years on, this process was complete, according to many. In late 2017, Foreign Policy magazine reported on the “limits of US willingness or ability to influence Cambodia become clear when compared to China’s overwhelming influence there.” “Why the West was doomed to fail in Cambodia,” reads a headline from the Southeast Asia Globe last year. The exiled political analyst Kim Sok more recently asserted that Prime Minister Hun Sen “has no choice but to rely on the Chinese” as he increasingly pushes the West away. 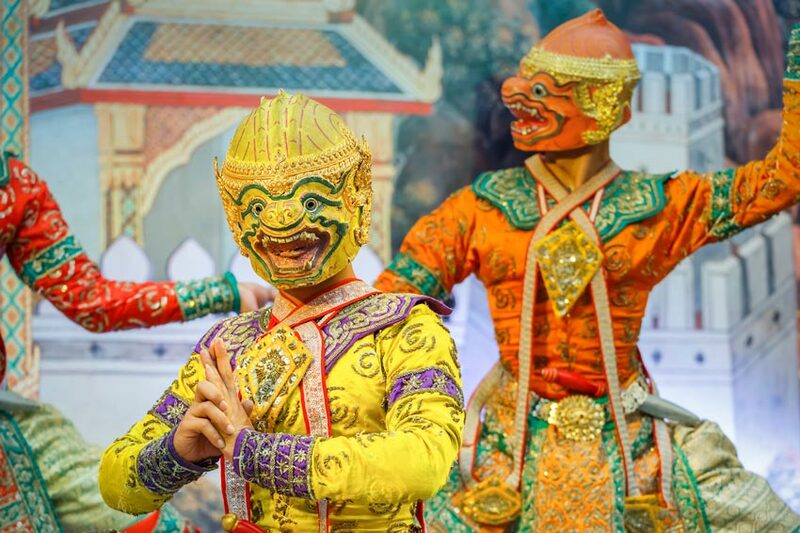 China might be many things to Cambodia: the main provider of aid, investment and goods, a key geopolitical ally and something of a sagacious, avuncular mentor, an “ironclad friend” in Phnom Penh’s argot. But it isn’t, and most likely never will be, a major importer of Cambodia-produced goods. Instead, the major importers are the United States and the European Union. Together, they imported a little under two-thirds of all Cambodian exports in 2017. China, by contrast, imported just 6% of Cambodian total exports that year. This matters greatly as both the US and EU now threaten to impose trade sanctions on Cambodia and re-introduce tariffs on its exports, a response to the Cambodian People’s Party (CPP)’s stage-management of last year’s general election, at which it won all the seats in the National Assembly, and its dissolution of the main opposition party, the Cambodian People’s Rescue Party (CNRP), the previous year. On 11 February, the EU formally started the 18-month process to remove Cambodia from its preferential Everything But Arms (EBA) scheme, a process that can be stopped if the EU thinks Phnom Penh is making sufficient progress in political and human rights reform. Cambodia’s economy, despite years of high economic growth, remains highly dependent on exports. Products made in its garment and footwear sector—the largest employer, by sector, and largest contributor to GDP—almost exclusively are exported to Western nations. So should the EU withdraw Cambodia from its Everything But Arms (EBA) scheme, which grants Cambodian exporters duty and quote-free access to European markets, then the imposition of tariffs and quotas will certainly see exports to Europe plummet, causing a considerable slump in the Cambodian economy. The government knows this. That’s why it planned for years to reduce the economy’s dependence on exports, chiefly low-cost manufactured goods. But progress has been slow, if not glacial. Granted, the tourism sector is booming thanks to increasing numbers of Chinese visitors. So too are the retail and property sectors. But exports are still prepotent. There is likely zero chance, despite the opinions of some analysts, that if Western democracies punish Phnom Penh by imposing higher tariffs on its exports or switching to suppliers in other nations, then China can simply jump in and bail out Cambodia. Quite obviously, China doesn’t need to import low-cost garments from Cambodia; it produces more than enough domestically. China’s main import to Cambodia, the raw materials stitched and sewed at Cambodia’s garment factories, would also be harmed if exports to Western nations slump. Chinese investors own many of the largest firms in Cambodia’s garment and footwear sector, so they will be among those who will lose out if exports dry up. Moreover, Beijing would have wasted millions, if not billions, of dollars on funding new roads, ports and special economic zones in Cambodia that were aimed at improving its export capabilities. A more astonishing response from Beijing would be to simply hand Cambodia the cash to make up for any shortfall if exports to the West decline, a move some analysts think is possible. But it’s actually improbable. Would this come in the form of concessional loans or simply cash payments? The latter would be raise serious opposition in Beijing, where some policymakers and analysts are already becoming sceptical of the amount of money wasted through Xi Jinping’s signatory Belt and Road Initiative (BRI). At least for the BRI, however, Xi can point to the likelihood of future returns on investments. Few profits, though, would be reaped by simply bailing out Cambodia’s exporters. The other option, bailouts in the form of loans, would be just as risky to the Cambodian government, which is struggling (though doesn’t admit it) with a growing public debt, especially to China. How would Phnom Penh square the circle of attaining more loans if exports, its chief means of acquiring foreign currency, dwindle? Moreover, say that new European tariffs on exports and reductions in trade see Cambodia’s exports figures slump just 10%, or roughly US$500 million a year. Would China be willing to provide this much annually for few returns? Also, what about the knock-on impact to other sectors in Cambodia if exports slump? It would certainly see investment and profits contract in the retail, construction, property and many other sectors, too. The real costs of even a minor slump in garment exports is likely to be felt throughout the economy, as well as by the millions of family members of workers who rely on remittances each month. Whichever way one looks at it, Western nations still have considerable influence in Cambodia. They clearly know this and that’s why they are exerting pressure on Phnom Penh to make political reforms through threats to the country’s export-driven economy. The Cambodian government, for the most part, either says it isn’t concerned about threatened Western sanctions, claims that they are an assault on Cambodia’s sovereignty, or a move to punish only poor Cambodians. It hasn’t yet publicly admitted that its own actions may actually be the real cause. But here’s the kicker: trade with the US and EU might be immensely import to Cambodia, but it’s only negligible to them. Indeed, the EU’s trade with Cambodia—which is overwhelmingly Europe importing Cambodian goods, not the other way around—is worth about a tenth of its trade with Vietnam, for example. So there wouldn’t be any mutual catastrophe if exports decline; it would simply be felt by one side. Just look at how the US is currently weathering new tariffs President Donald Trump imposed on Chinese imports, which could soon be raised even higher. Any loss in trade with Cambodia won’t even be felt as a tremor in America, though it would be an earthquake in Cambodia. Remember, too, that it isn’t as though Cambodia is the world’s only producer of cheap clothes and shoes. Bangladesh is making them for much cheaper, as does Vietnam, whose ruling Communist Party is now backing down to American and European demands for some political and legal reforms in order to boost trade. Hanoi appears more than happy to negotiate, while Phnom Penh stuffs its ears. It would be so much easier from some European importers to simply say, enough of Cambodia, and move operations or find new supply chains in other countries. Amid all of this, pay attention to the irony of the situation. The CPP government has largely been allowed to do what it wants politically for so many years because of the fat profits reaped from its export-driven economy. Years, if not decades, of enviable economic growth rates have provided the CPP government with its main source of legitimacy; the economy is growing, wages are raising, unemployment is low, and we’ve created a brighter future for Cambodia, the party constantly says. Much of the public who might be unhappy with political conditions temper their emotions with this acknowledgment. But the CPP government today faces a novel problem. 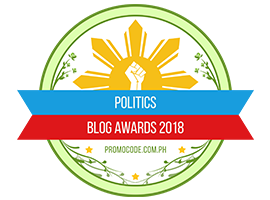 While it was a low-cost, export-driven economy that gave the party so much legitimacy, the same export-driven economy is now its Achilles heel. However much it wants to drag itself under the parasol of Chinese patronage, it remains exposed to the storms of Western trade. Posted in Cambodia, China-Cambodia Relations, Development Diplomacy and Soft Power, Diplomacy, Donald J Trump, Emmanual Macron, European Union (EU), Foreign Policy, Hun Sen, New Mandala.org, US foreign policy. Cambodia- China Strategic Partnership–Is everything about China bad? Cambodia- China Strategic Partnership—Is everything about China bad? The number of alumni speaks for itself. The Fulbright and Undergraduate State Alumni Association of Cambodia (FUSAAC) has more than 1,000 members. Australian Alumni Association of Cambodia has over 700 members and Japan Alumni of Cambodia registered more than 1,000 past recipients of Japanese scholarships. As of now, the fact that around 1,000 Cambodian students studied in China does not mean that they are controlling the whole educational aspect of Cambodia. According to data entitled “Global Flow of Tertiary-level Students” of Unesco in 2017, Thailand was the top destination with 1,031 Cambodian students, followed by Australia (908), United States (560), Vietnam (432), France (431) and Japan (397). China was not even on the list. Wrong. Cambodia has never relied on trade with China. Trade with China has always been a deficit for Cambodia. The trade volume between Cambodia and China was valued at $5.8 billion in 2017 and Cambodia’s exports to China has not even reached $1 billion, making the trade deficit for Cambodia larger than 80 percent vis-à-vis China. While in 2018 China agreed to increase Cambodia’s rice import quota to 300,000 tonnes, a deal was struck in 2014 that China would annually buy one million tonnes of Thai rice for five years. Vietnam who is China’s strategic rival is actually one of the leading trading partners in Southeast Asia. In 2017, Vietnam-China bilateral trade stood at $93.69 billion. There is a Khmer saying that goes, “you get angry with the cow but you hit the cart.” In this case, when the EU is displeased with China’s influence in Cambodia, and assumes that Cambodia is too much reliant on China, they instead decide to kill Cambodian jobs by introducing measures aimed at cutting down EU–Cambodia trade. Wrong. 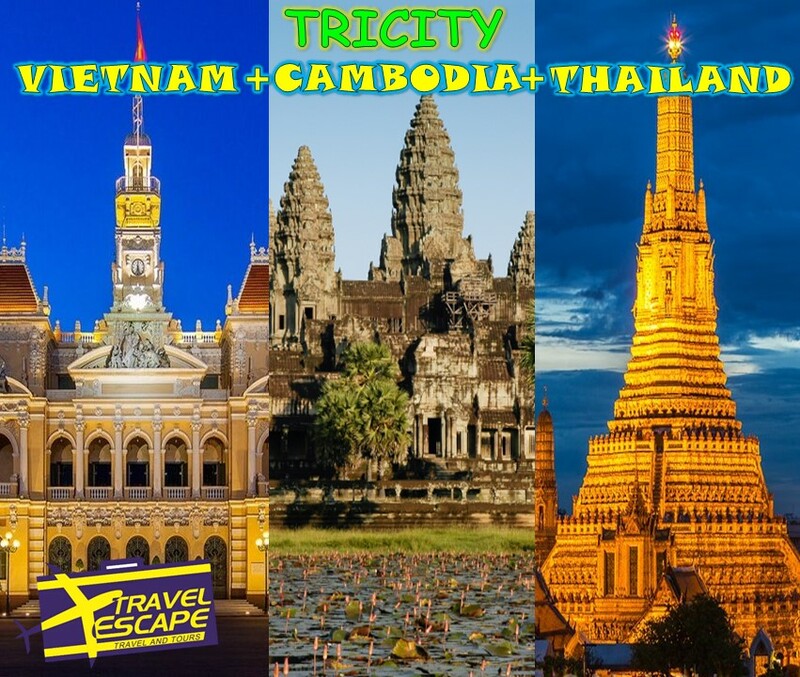 Some foreign pundits even mix up between two coastal provinces of Cambodia, namely Preah Sihanouk and Koh Kong provinces. If this myth is aimed at Sihanoukville port, which is the only deep-water seaport in Cambodia, it is grossly wrong because technically speaking Sihanoukville Autonomous Port is almost under Japanese control. Japan has provided support to Sihanoukville Port for a long time. Starting with the 1999 Sihanoukville Port Urgent Rehabilitation Project, which was the first Japanese loan to Cambodia, JICA has provided continuous support for infrastructure and operations capacity building at the port through loans, grant aid and technical cooperation. Japanese investors also hold the biggest percentage of shares in the Port’s public offering. More than 60 percent of the shares in the IPO were bought up by two Japanese institutional investors, one of them being the Japan International Cooperation Agency or JICA. National investors now control 35.57 percent of the issued shares after the IPO, while foreign investors hold 64.43 percent – the largest of which was JICA. As for another sea port at Koh Kong Province, it is being developed by China’s Tianjin Union Development Group (UDG) as part of its $3.8 billion Dara Sakor Beachside Resort project. Asia Times and the Southern China Morning Post have been publishing articles insinuating militarisation of the port. As the saying goes, “Repeat a lie a thousand times and it becomes the truth.” Is it really true? Firstly, logically speaking, if it is a military port, it has to be under the jurisdiction of the Ministry of National Defence. This means that, to become a militarised port, Cambodia needs to nationalise that private investment, which is definitely not a smart move for any pro-investment country. Secondly, if it is a deep sea port, it is generally an acceptable practice to receive military ships, which are not permanently based, on account of friendship promotion or even business service provision. Take for instance, the operation of Logistics Group Western Pacific (COMLOG WESTPAC) and Navy Region Center Singapore (NRCS) in Singapore. According to a Naval Today article published on August 9, 2012, “While no US base exists in Singapore, the US Navy presence here dates back several decades and the Navy leases facilities from the Singaporean government. Today, the US military community in Singapore includes active duty, civilian personnel and family members, distributed among 15 commands. “COMLOG WESTPAC was established at the Port of Singapore Authority (PSA), Sembawang Terminal, in July 1992…. Established in 2007, NRCS provides administrative support to nine Navy, Army, Air Force and Joint commands in Singapore. It also manages 165 family and bachelor housing units and dozens of command, administrative and warehouse facilities. If the Asia Times and the South China Morning Post are anticipating that Cambodia is planning to provide such support to China like what Singapore is doing for the US, in terms of capacity, manpower and logistics, they are wrong. Cambodia is no way comparable to Singapore and still has a very long way to go. Since the colonial era, Cambodia has never been a major seaport. Most importantly, as an integral part of its foreign policy, Cambodia has never aspired to host a foreign military base regardless of foreign twisted perception. Wrong. Investment in Cambodia is not nationally labeled. The case in point is the comparison between two special economic zones with a similar name, Sihanoukville Special Economic Zone (SSEZ) and Sihanoukville Port Special Economic Zone (SPSEZ). SSEZ has been jointly developed by Chinese and Cambodian enterprises. Established in 2008, SSEZ boasts more than 100 predominantly Chinese enterprises, making it the biggest and most active SEZ in the country both in terms of size and occupancy. More than 16,000 people are employed in the industrial park. SSEZ is trying to attract 300 enterprises and grow to a total of 70,000 to 80,000 workers within the next five years. On the contrary, SPSEZ which is being developed by the Sihanoukville Autonomous Port Authority of Cambodia is just hosting three companies since the start of operations in 2012. The $33 million loan for building the SPSEZ came from Japan. The government is relying on Japanese expertise which in turn has set high ethical and environmental standards for investors. The harsh reality is that there is little interest among Japanese investors. Posted in ASEAN, Cambodia, China, China-Cambodia Relations, Economic Development, Hun Sen, Japan, Uncategorized.